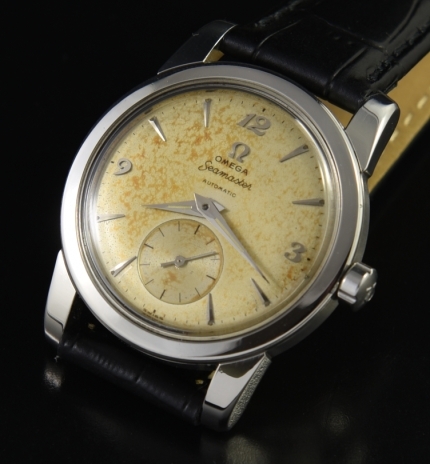 This is an OMEGA SEAMASTER in stainless steel dating to 1954 and measuring 34.5mm. with its shimmering beefy lugs and screw back. The original Breguet numeral “Explorer” style dial features striking original patina and steel (original) Dauphine hands along with large sub-seconds. 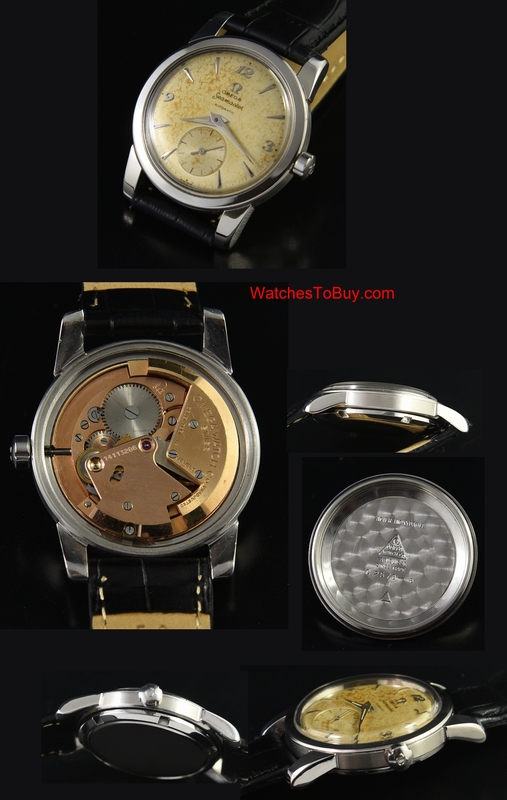 The caliber 344 bumper automatic movement was recently cleaned an is accurate. It’s all about the dial!